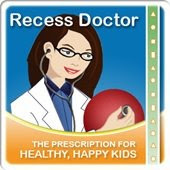 Peaceful Playgrounds | Recess Doctor Blog: Exergames. Do they equal exercise? Exergames. Do they equal exercise? For Christmas my daughters (25yrs & 27 yrs old) ask for the Nintendo Wii with the balance boards and fitness additional components. I figured it couldn't hurt. For my granddaughter I got a Smart Cycle. I don't ever endorse products but since these were so close to home I thought I'd share some research on these and other electronic games which aim to improve fitness. more than 45 minutes. Yet another study of school-aged children in West Virginia found that many children lost 5-10 pounds after playing DDR every day for several weeks. In the Groove (a dance game similar to DDR) has been shown to increase students’ mile-run time by 14% after regular use.5 Students playing this game also showed improvements in social skills, academics, attention and self-esteem. By the way, my granddaughter "loves" the Smart Cycle. According to Mattel for younger children (ages 3 to 6 years old) Fisher-Price’s SmartCycle provides similar health benefits by combining interactive animation technology with a stationary bicycle. The bike plugs directly into a television, and as kids pedal faster, they are guided though educational “adventures” on the screen. 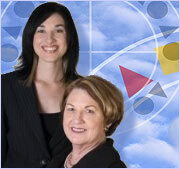 I was pleased to know that the early research on the SmartCycle provides moderate cardiovascular and health benefits. I can attest to the educational value as well. Getting exercise and learning can't be all bad. Right? I agree the outside would be even better.